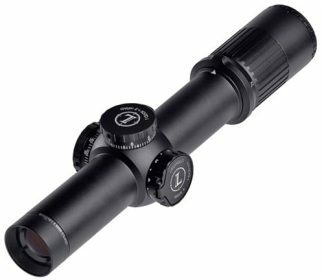 Leupold Mark 6 Rifle Scope Always in Stock at the best Price! Leupold’s Mark 6 is the scope of choice for military and Law enforcement, Due to its extreme accuracy and light weight compact package. Its very easy to manipulate, Yet tough enough for the harshest environments. “Drop it or run it over and a Mark 6 is still drop-dead accurate”. All Leupold Mark 6 lens surfaces are coated with DiamondCoat 2. This ion-assisted lens coating that allows more light transmission and the best level of abrasion resistance Leupold offers. The DiamondCoat 2 also assisting in light transmission for clearer, brighter scope with greater contrast detail. Let our knowledgeable staff help you find the perfect Leupold Optic. Shop our large in stock selection of Leupold Rifle Scopes at discounted pricing. Feel free to call our knowledgeable staff at Xtreme Guns and Ammo on all you Leupold Mark 6 Rifle Scope questions at 832-363-3783. You can also Chat with us online for you convenience.